Hello! 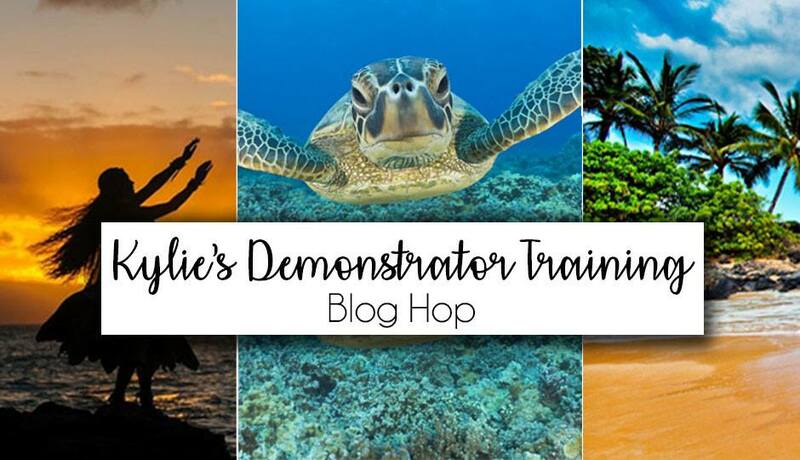 Welcome to Kylie’s Demonstrator Training Blog Hop! We’re a group of Stampin’ Up! demonstrators around the world sharing what we love with you. We are all in Kylie Bertucci’s training group and having a wonderful time growing our Stampin’ Up! businesses. I’m Sarah Fleming from the United States. For my project, I’ve made a winter birthday card using my — hands down — favorite die set EVER. I just got these in yesterday and already can’t stop playing with them. My card base is Thick Whisper White (4-1/4″ x 11″, scored at 5-1/2″). I’ve added a skinny mat of Gold Foil (4-1/8″ x 5-3/8″), and my main panel is Whisper White (4″ x 5-1/4″). 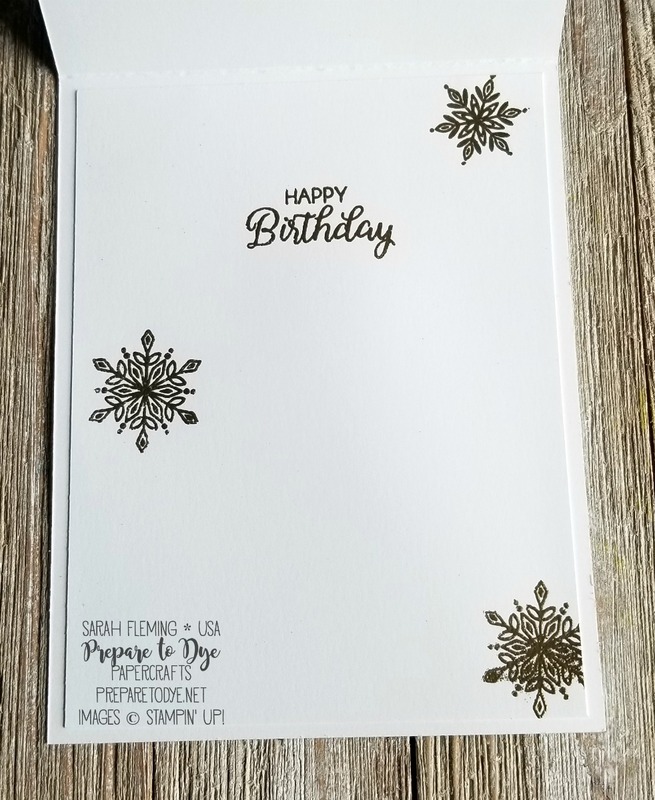 I used Big Shot Embossing Mats with my dies turned the wrong way to create impressions of the snowflakes (I first painted the back of the dies with Vegas Gold Shimmer Paint so the impressions would be painted gold). Then I cut the same snowflakes out of the new White Velvet Sheets and glued the centers of the snowflakes into their impressions. This technique is called Reverse Die Impressions, and I will be demonstrating how to make this card on my video tomorrow. You can catch that on YouTube or Facebook, as it will be uploaded to both sites. Make sure to subscribe while you’re there! Here’s a side view so you can better see how the shimmer paint looks in the impressions. I heat embossed the sentiment in gold, punched it out with the Everyday Label punch (then snipped off some bits), and added that to the card, along with some basic Rhinestones. 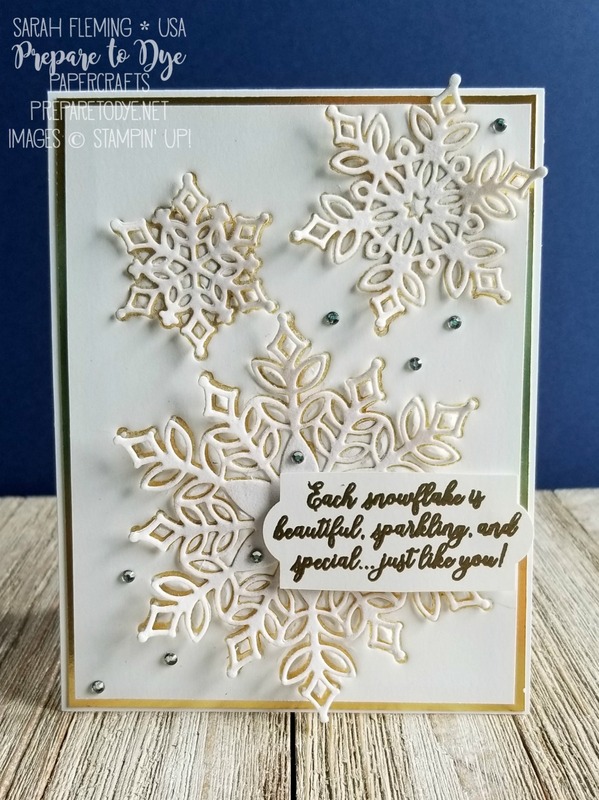 I heat embossed a sentiment from Beautiful Bouquet and three snowflakes from Snow Is Glistening on the inside of the card. 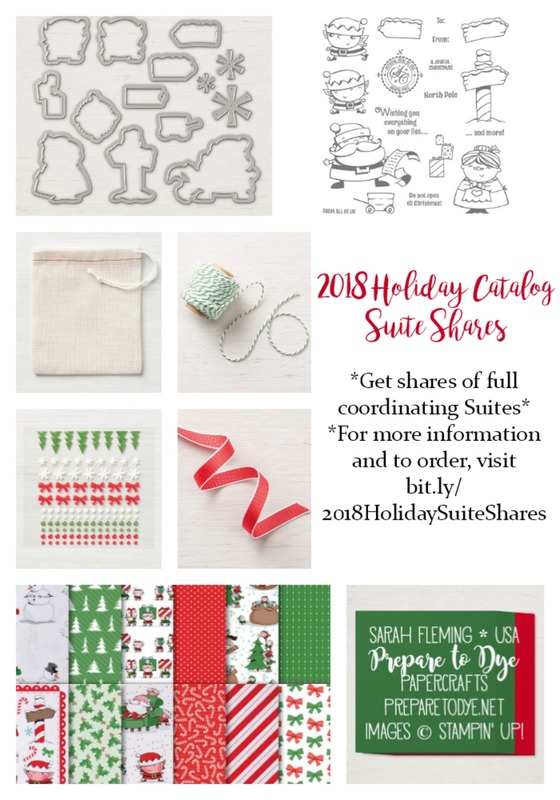 Everything I used on my project can be found in my online Stampin’ Up! store (the Happiness Surrounds stamps and Snowfall dies will be available November 1st). 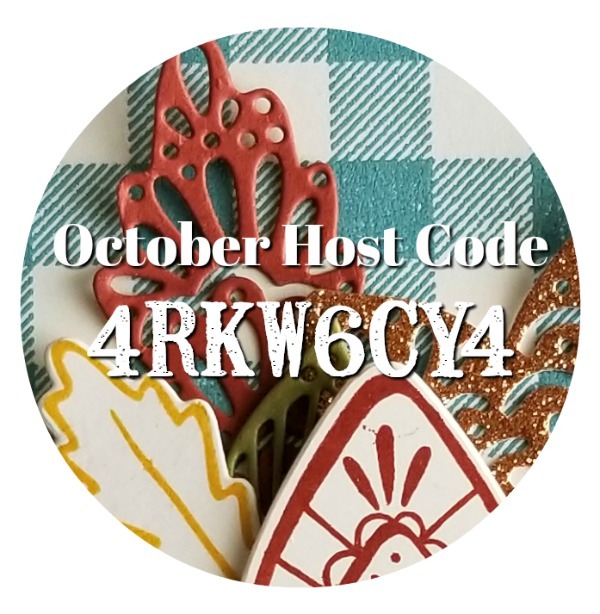 Make sure to use the October Host Code (below) if your order is below $150, and I’ll send you extra goodies! If your order is over $150, don’t use the Host Code — make sure to claim your Stampin’ Rewards when you check out, and you’ll still get my free gift! Love the embossed/letter print technique. Love the gold foil peeking through! LOVE your card Sarah. I’ve never done the Reverse Die Impressions technique before! I will have to try! One of my favorite cards of the hop – so lovely. Oh my, a beautiful card, thanks for sharing it!